DaiQuan's Blog: ‎What Magic Is Made Of‬. ‎What Magic Is Made Of‬. Coldplay got their big break as an opening act for U2, who are both me and Chris Martin's all-time favorite band ever. 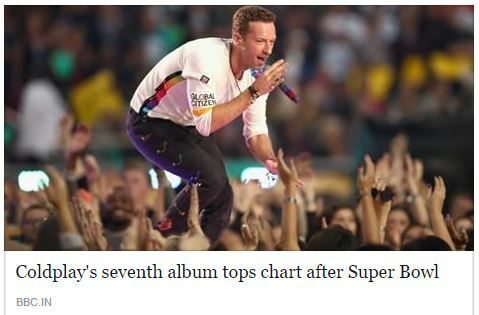 However, those days are long over and Coldplay no longer need to play second-fiddle to anybody anymore. Not Beyonce, not Bruno Mars, not U2. My love for Coldplay, beyond their music, stems from the fact that no matter how many bandwagon-riders try to downplay their musical quality, no matter how many lame screenwriters and B-list actors make jokes about them in stupid movies, no matter how much crap they get from critics for experimenting with their own art, no matter what trials they go through in their personal lives: Coldplay persist as brothers-by-bond on a constant musical journey in their own way. I respect that stubbornness and I admire it more than anything else conceivable.